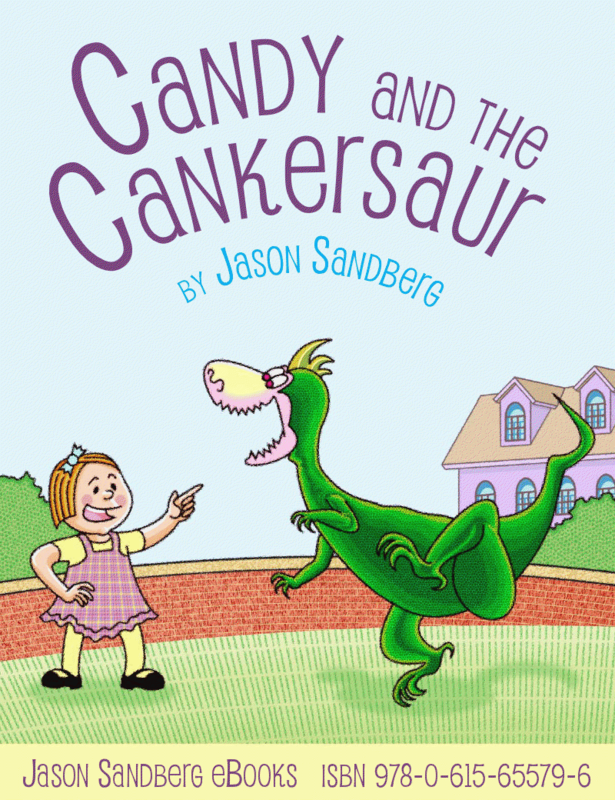 Recently I had the pleasure of reading a marvelous story about Candy and the Cankersaur by Jason Sandberg. It’s a new eBook for children and if you haven’t downloaded it yet, you should. It’s a fun story about a little girl named Candy who has a very busy daddy. One day he buys her a very interesting pet – a dinosaur – Cankersaurus Rex, to be exact. She trains him to be a good pet. They are having a lot of fun together playing hide-and-seek until one day – Candy’s beloved Cank is gone! Did he get lost? Or, perhaps, did someone take him away from Candy? And where did Cank end up? All dinosaur-loving boys and girls will love this adventurous book (no worries, it has a happy end). Those of you that are interested in quantity, the whole story is written on 28 colorful pages. Each page has a picture and about 3 – 4 lines of text making it perfect for preschoolers. For just $1.99 you can download the story about Candy and Cank for your iPad, iPod or iPhone. Kindle and Kobo versions are also available. A total life-saver during a long wait at the doctor’s office (we hate you, flu season!) or a long flight (not too fond of those either). Or simply a nice way to end their adventurous day and finally tuck them into bed (there are days we all pray for 8 pm). « Thank you, my Peacock’s Crafty Heart customers!